CD comes in digipak in dark sunken wooden box, inside is based and limited of only 48 copies. Info: March of Heroes has created music similar to their debut album. March of Heroes bravely enter regions of Toroidh or Karjalan Sissit. 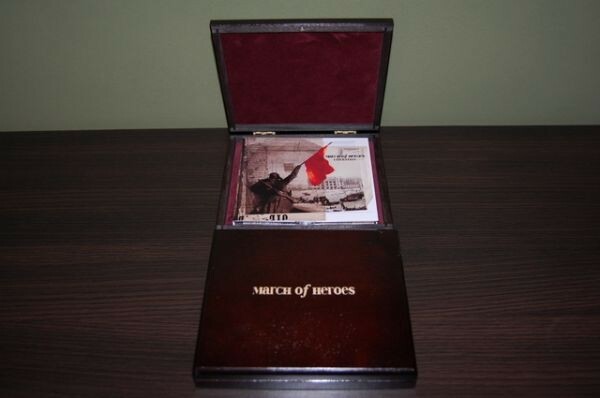 Customer evaluation for "MARCH OF HEROES - Liberation CD Wooden-Box (Lim48) 2010"